Fiat have released a trailer for their new Fiat 500X to be unveiled at the Paris Motor show next week. We aren’t sure whether it was intended to be terrifying but we’re sure it has its rivals; the Nissan Juke and the Peugeot 2008, quaking in their, well, wheels. Fiat 500X to be unveiled in Paris! Let’s talk you through it! The teaser opens with a shot of an eerily empty city street, possibly post apocalypse. Then there is the sound of a chain swing going back and forth accompanied by the spooky, yet tuneful voice of the lady on the swing, reciting the alphabet. Not creepy at all. Then it cuts back and forth to teaser shots of the Fiat 500X which is speeding down the road, heading straight for the lady on her crazy city street swing. 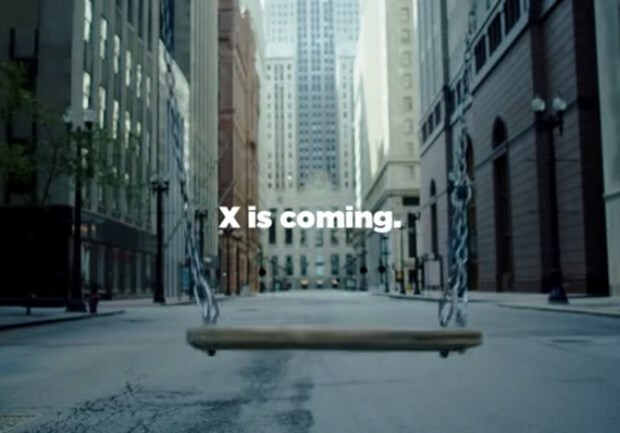 Just as she is about to get to ‘X’ in the alphabet, along the car comes, timing it so it can drive under the swing to prevent the clip from becoming a bad road safety advert. However there is a twist, the swing is left unoccupied and the woman has gone! Then we are shown the message X is coming. This is shortly followed by the swing woman, who is now in the 500X. She finishes her alphabet song with “won’t you come and play with me”. So far all we have is 2 videos, and 1 picture of the Fiat 500X. This will probably be all we get until the Paris Motor Show. It is a very interesting time for this class, with Toyota revealing the C-HR concept which is also meant to rival the Nissan Juke. The 500X is expected to go on sale next spring. Prices and all other details will arrive in the next few weeks. This is a big move from Fiat, and it makes perfect sense to build on the ever popular Fiat 500.